Those who want to keep their home and car clean and neat know how annoying organic soiling can be. In particular, this rubbery and stubborn tree gum, but also bird droppings, pollen and similar substances disturb the appearance of vehicles, homes and gardens and it is difficult and tedious to remove them. However, with Caramba tree gum remover, you can remove tree gum – reliably, gentle to the material and without tedious scrubbing and rubbing. 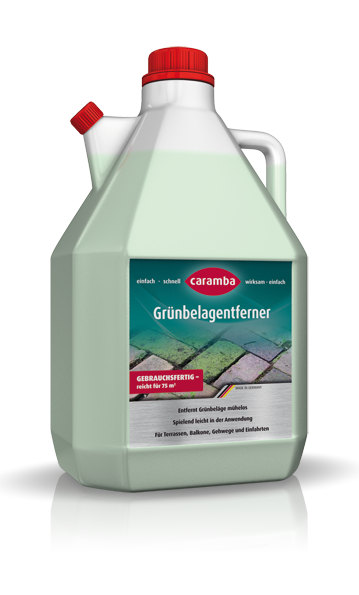 Give it a try and experience the effect of this special cleaner from Caramba. Tree gum, bird droppings, pollen and other organic soiling are a horror for each enthusiast of cleanliness – especially if the own car or parts of the own home or garden are concerned. However, these soiling types that can hardly be avoided are just part of our nature, and if you have the right cleaner they should not be an issue. For tree gum removal, we recommend our tree gum remover from Caramba. This is a special product for painted surfaces, glass, plastic or chrome and thus it is perfect for removing tree gum and bird droppings from your car or motorbike as well as from garden furniture, pavilions or winter garden. Shake the can well immediately before use. For tree gum removal, spray the product on the paint or other surfaces and wipe off the soiling. Treat the car paint with Caramba car sealer after you have removed any tree gum. For repaired paint, exercise utmost care and check at first the material compatibility with the product on an inconspicuous spot. Please do not use this product on Plexiglas and avoid any contact to textiles. Protect your clothing or wear work clothes when removing tree gum. Please always follow the safety instructions on the packaging label and safety data sheet. Removing tree gum was never easier. Use this tree gum remover to free your car, furniture from gum, bird droppings and pollen.